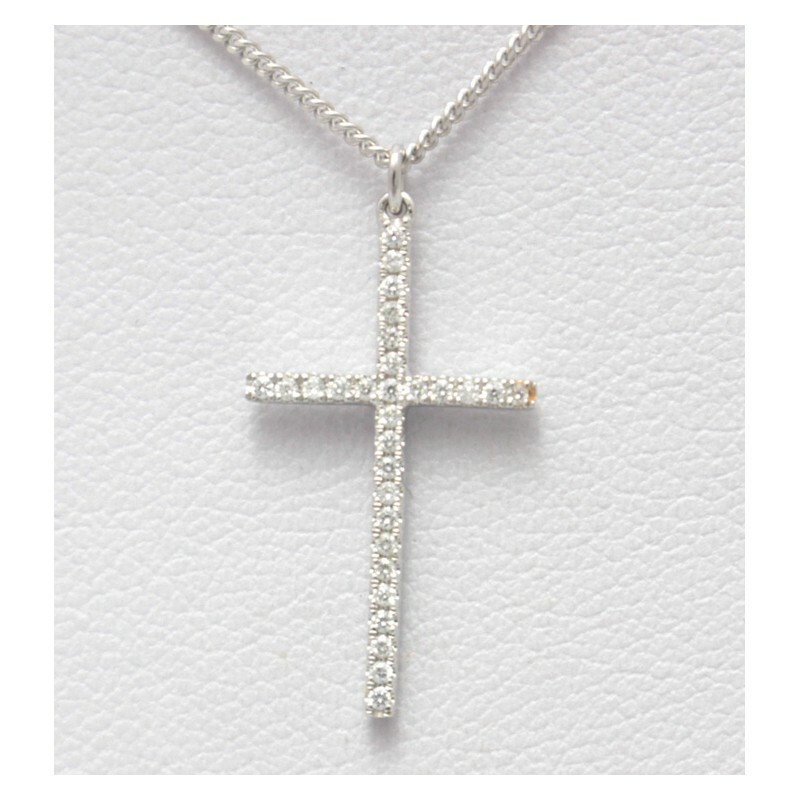 This stunning cross is made of 18ct white gold set with round brilliant cut diamonds, all set in claw mount. 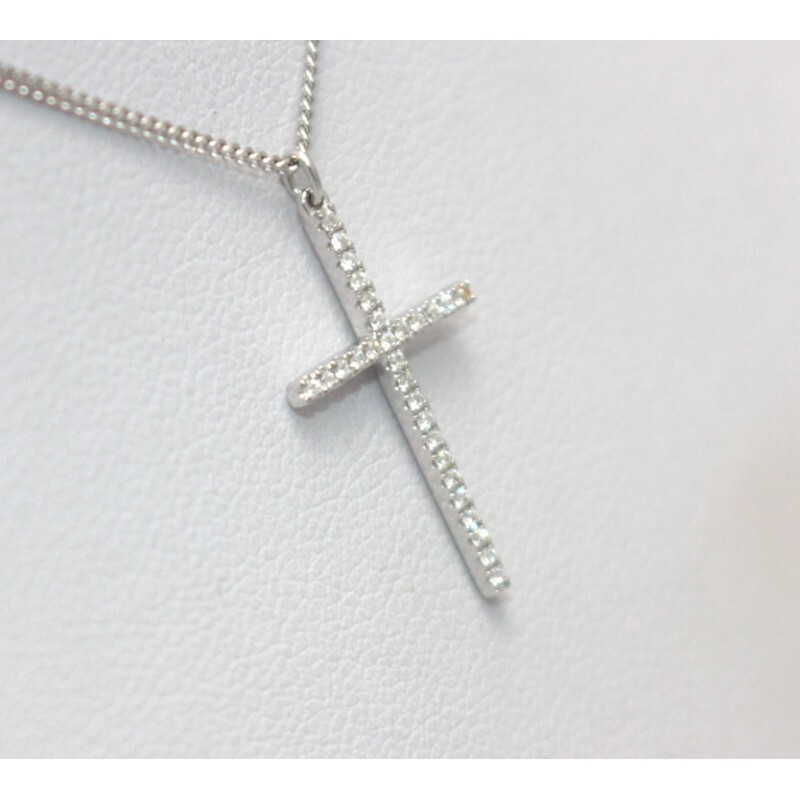 The cross measures 22mm x 12mm. 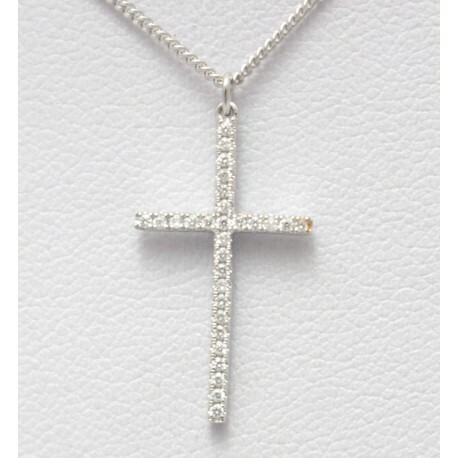 Including 9ct white gold chain.